How do children learn from birth to age 5? Should Washington offer free universal pre-school for all? How can our limited public tax resources best serve our most precious local resource — our community’s children? An esteemed panel of leaders in the field will keynote the event, which will be moderated by Seattle Times education reporter John Higgins. This event is the first from Seattle Times LiveWire, a new event series presented by Microsoft featuring meaningful discussions about vital issues impacting our region. This November, Seattle voters will be asked to choose between two competing early learning initiatives: Proposition 1A, (I-107) sponsored by two labor unions and which would establish a training academy and $15 minimum wage for childcare workers, and Proposition 1B (Ordinance 124598), which would establish a voluntary early learning program for 3 and 4-year olds and is sponsored by and unanimously endorsed by the Seattle City Council, led by Councilman Tim Burgess. Mayor Ed Murray also supports this initiative. On Sept. 25, the Seattle Channel hosted “Seattle Speaks,” an interactive forum at Town Hall, where the two initiatives were debated. Here’s a concise history of why we have two opposing childcare initiatives on the ballot. What set the stage for the conflict was the unions’ insistence on a single training portal operated by them, serving unionized and non-unionized childcare workers. The City opposed this exclusivity. In August, a King County Superior Court judge ruled that because both measures deal with early chlildhood development, but differ in the specifics, voters had to be given a clear choice. In September, that ruling was upheld by a court of appeals and final ballot language was issued, creating the two opposing measures. As a result, in November voters will be asked whether either of these measures should be enacted into law. Regardless of whether the voter says yes or no, s/he will be asked to select a preference for which of the measures should be enacted. In a nutshell, union-supported Prop. IA applies to all childcare facilities serving children from birth to age 5, establishes a training academy for childcare workers, establishes a $15 minimum wage for childcare workers phased in over three years, and limits tuition costs to 10 percent or less of family income. There is no funding source attached to this initiative. City-supported Proposition 1B is a four-year initial phase of a new, voluntary early learning program for 3- and 4-year olds. 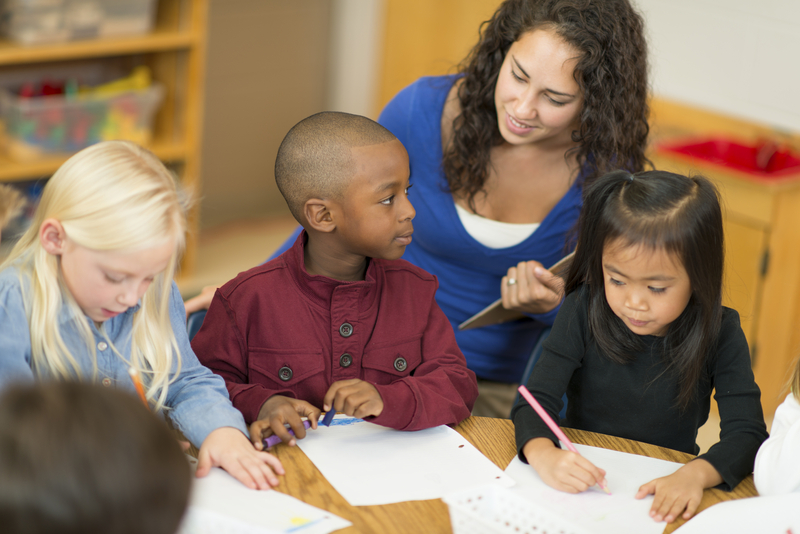 It requires support, training and certification for teachers, research-based strategies and evaluation of results, with the goal of establishing a widely available, affordable, licensed voluntary preschool option offering tuition on a sliding scale. The program will be funded from $58 million in property taxes, costing a taxpayer with a $400,000 home $43 per year. Experts agree that early learning is the key to lifelong success, not just in school, but also throughout life. Research shows that students who enroll in high quality preschool programs receive crucial boosts to their social and emotional learning. They tend to do better in school, and they complete school, which translates into greater work life success. Proponents of Propositions 1A and 1B agree that Seattle is in the midst of a childcare crisis. Childcare is expensive and difficult to obtain. The City estimates that one-quarter of Seattle’s 12,000 3- and 4-year olds are not currently in any sort of early learning program, putting them at a disadvantage by the time they start kindergarten. Childcare workers are underpaid, resulting in high turnover. The first person I saw when I arrived at the forum was Teacher Laura, the no-nonsense preschool teacher who very ably prepared my kids for kindergarten 10 years ago. Laura, whose last name is Chandler, is one of the architects of Proposition 1A. She and some other childcare providers are concerned that the training requirements set forth under 1B are too stringent. Under the City’s plan, the lead teacher in a classroom would be required to have a bachelor's degree in Early Learning. The City counters that it can provide an exemption from the degree requirement if a teacher has demonstrated mastery, that participants have four years to obtain the required degree, and that it only applies to the lead teacher in the classroom. The City will pay for the teachers to get their degrees. As for 1A’s fast-tracking of the $15 minimum wage for childcare workers, Chandler says she is concerned that teacher turnover will increase once large companies, such as Target, begin implementing the new wage scale. Under the current minimum wage plan, large businesses are required to phase in higher wages sooner than small ones. The City plans to pay teachers in its preschool program in line with K-12 teachers, which they say would translate to more than $15 per hour. Finally, Chandler and other teachers at the Town Hall event expressed concern that only childcare facilities that adhere to specific learning philosophies and curricula will be eligible to participate in the City’s voluntary preschool program. Though it has not yet chosen its menu of curriculum, City officials have said their preschool program will only support curricula with evidence of success. They acknowledge that they will only have the capacity to provide training and support for a limited number of curricula. High performing early learning programs that fall outside the chosen curricula could still participate in the City’s preschool plan and receive funding, but they would not receive the same level of coaching support. City officials stress that Proposition 1B is not an attempt to regulate the childcare industry. It is a new, voluntary program, with a new funding source. There is a growing awareness nationwide of the correlation between early learning and lifelong success. There is a growing awareness in Seattle of the need to provide preschool options for all kids, in the form of affordable high-quality early learning centers with teachers who are adequately paid and well supported. It's up to Seattle's voters to decide how to proceed.